Coffey Refrigeration offers full commercial and industrial HVAC installation, maintenance and repair services. 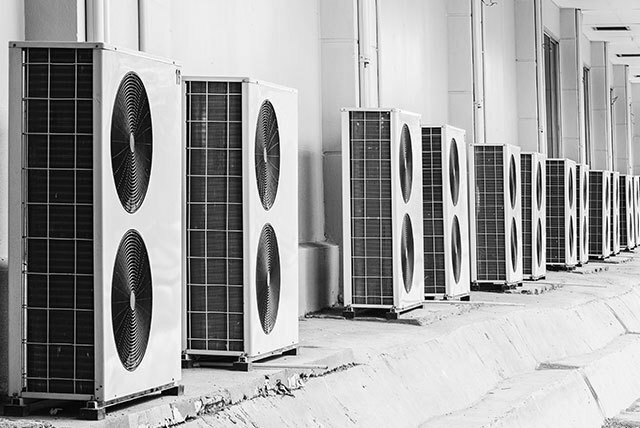 We offer a full range of commercial and industrial HVAC services in Kennewick, Richland, Pasco and surrounding areas. Including custom designed systems, installation & replacement, repair and maintenance services, commercial construction. To stay up on the latest developments in the commercial HVAC industry, our HVAC technicians go through continuous training. We offer the best prices and the best service on every single job. No matter how big or small it is, you can always expect the same quality on the work we do. If you’re looking for annual HVAC maintenance in Kennewick there’s no better choice than Coffey Ref. We’ll tailor a maintenance plan to meet your exact needs and take the necessary steps to avoid large repair bills and costly down-time. Without proper inspection, contaminants build up inside the return ductwork, eventually overcoming your filter and polluting the air you breathe. Because we know how important it is to have your equipment operational and most importantly, at its most efficient level, we are available 24/7 with technicians on standby. Give us a call at (509) 586-1519 to request our service right away near you.